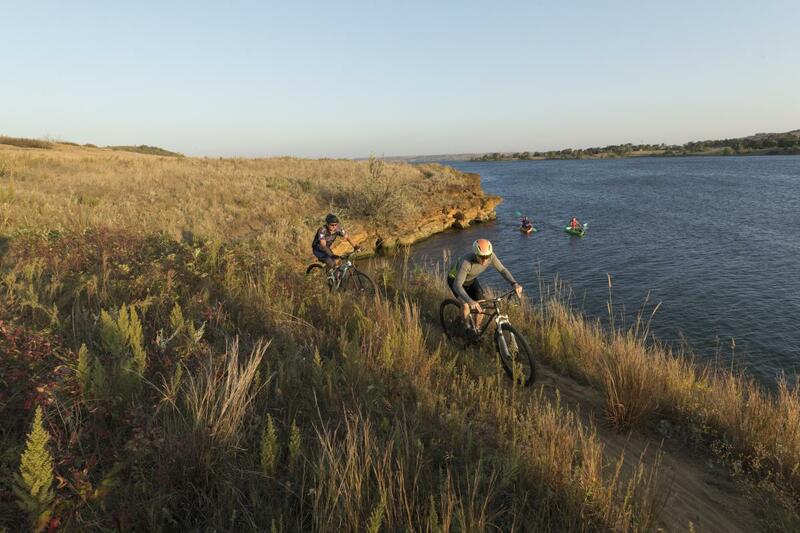 Whether it’s a small pocket of unexpected rock formations or an eagerly anticipated new park spanning hundreds of acres, Kansas offers plenty of places to get active outside. 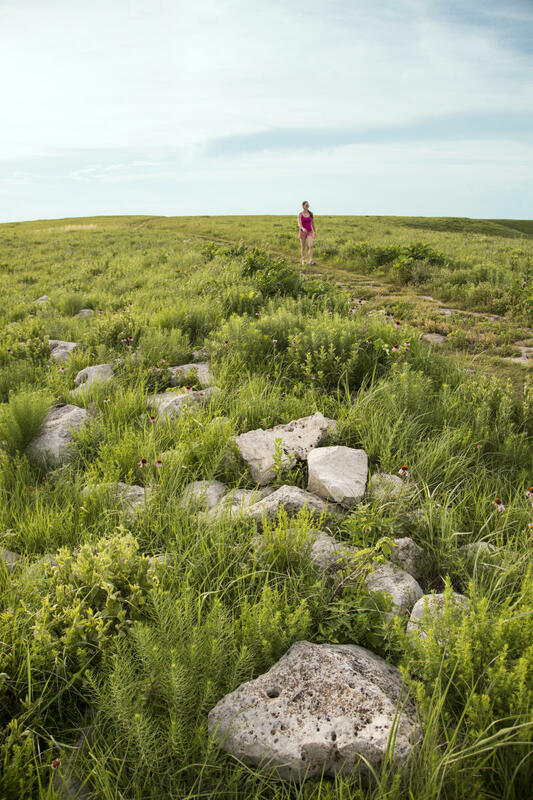 Soak in the beauty of blooming prairie flowers, native bluestem grass and limestone outcroppings along the Konza Prairie Biological Station trails, 8 miles south of Manhattan in the Flint Hills. Three loops give you a good intro to the varied landscape and its animal inhabitants. Start with the 2.6-mile Nature Trail Loop (get a brochure at the entrance kiosk). Highlights include views of the Flint Hills and Kansas River Valley and the Hokanson Homestead. For a longer hike, connect to the 4.5-mile Kings Creek Loop or 6.2-mile Godwin Hill Loop. Bikers will want to head south of Konza to the Flint Hills Trail State Park, one of the longest rail trails in the U.S., stretching 96 miles from Osawatomie to Council Grove. Cimarron National Grassland, in Kansas’ far southwest corner west of Liberal, is the state’s largest parcel of public land at more than 108,000 acres. Its roots lie in the 1930s Dust Bowl, which arose from over-farmed land, drought and wind; the government eventually purchased the land to stabilize the soil. The Turkey Trail (10.5 miles) and Santa Fe Companion Trail (19 miles) give cyclists, horseback riders and hikers a deep dive into the short-grass prairie. You might see pronghorn, box turtles, coyotes and foxes, as well as birds such as burrowing owls, orioles, quail, doves and ferruginous hawks. 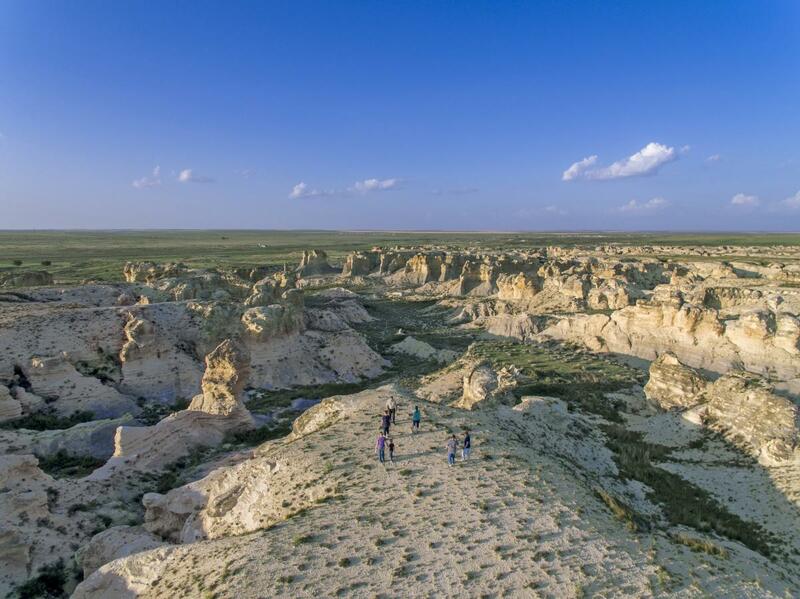 Hikers can’t wait to hit the newest state park in Kansas, Little Jerusalem Badlands, 250 acres of eroded rock formations that stretch a mile long and up to 100 feet tall. The constellation of Niobrara chalk limestone appears pretty much out of nowhere on the drive into the park. When it opens to visitors, Little Jerusalem Badlands State Park (located south of Oakley) will be unlike anything else in Kansas. Carved out of the working 17,520-acre Smoky Valley Ranch, the park will offer a scenic rim trail for hiking and special ranger-led activities throughout the year. You might see fossils, petrified wood and arrowheads on a hike, though there’s no collecting at the park. Geology enthusiasts can find other noteworthy stops throughout the state, too. Though just 5 acres, Mushroom Rock State Park southwest of Brookville draws visitors with distinctive, fungi-shape rock formations. Ramble around the weathered sandstone hoodoos, some four times the size of an adult. 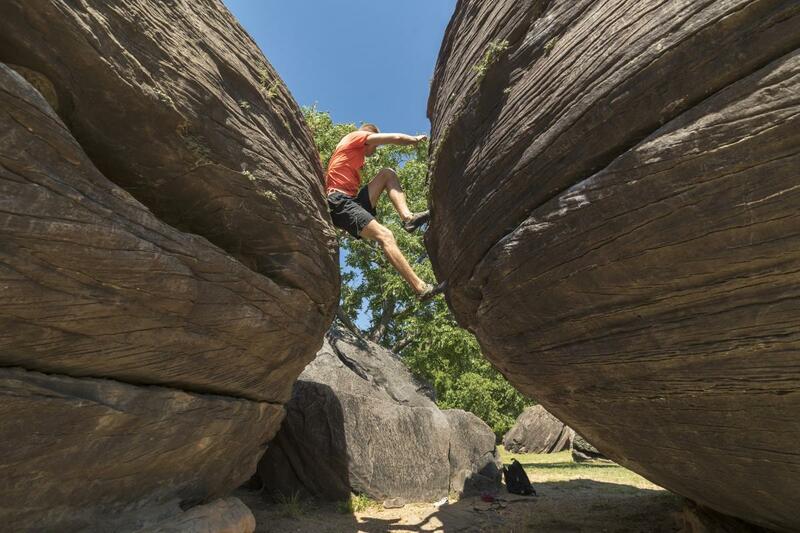 Similarly sized Rock City, south of Minneapolis, contains some 200 otherwordly sandstone spheres within a space about the size of two football fields. You can hop from rock to rock at Mother Nature’s obstacle course. Kanopolis State Park northwest of Marquette features trails to scenic overlooks atop the Dakota sandstone bluffs or hikes on the park’s 25 miles of trails; try the 1.5-mile Buffalo Track Canyon Nature Trail. “Some of my favorite outdoor experiences occur on Kansas’ creeks and rivers. I love the captivating quiet and stunning beauty,” says Rob Manes, director of The Nature Conservancy in Kansas. Anglers gather at Milford Lake in Geary County hoping to catch walleye, bass, wipers, crappie and catfish. The lake also attracts bald eagles (year-round), as well as common loons, blue herons and waterfowl. Cheney Reservoir, 9,500 acres of water west of Wichita, offers first-class sailing—national championships have been held here. Adult and junior novices can get instruction; check out the Ninnescah Sailing Association. Kayakers take to the clear waters of 9,000-acre Wilson Reservoir southwest of Sylvan Grove. Striking sandstone rock formations make for memorable paddling. Get geared up for a wide variety of outdoor adventures. Check out some of the state’s offerings at https://www.travelks.com/things-to-do/parks-and-nature/ and explore the 2019 Official Kansas Travel Guide for even more great active experiences.